The Commission has unveiled its proposal for Horizon Europe 2020 and this comes at a critical time for the EU. But there needs to be close monitoring of the research agenda set, as current proposals could have dire consequences for democracy and sustainable development, writes Jill McArdle. Jill McArdle is the European advocacy officer at Global Health Advocates. 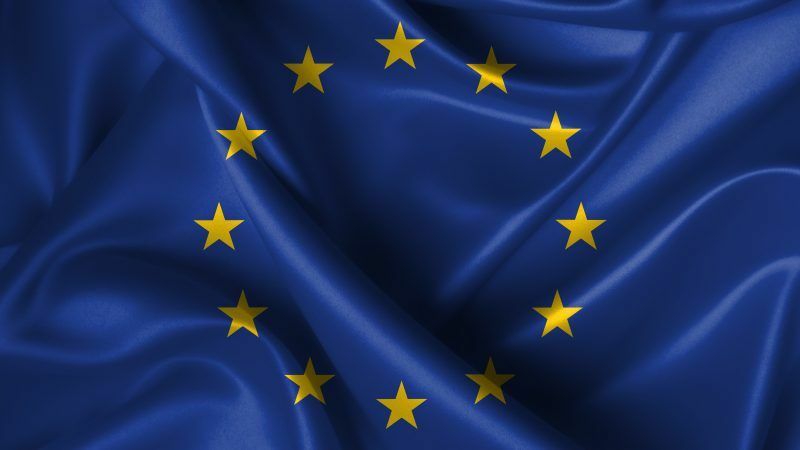 The European Commission has released its proposal for the next EU research framework programme, Horizon Europe, set to begin in 2020. The proposal comes at a critical moment for the EU. Democracy across the EU is in a state of transformation. Shaken by recent electoral shocks, leaders are paying closer attention to the voices of citizens, and experiments in democratic innovation are taking hold in the public sphere. Meanwhile, the Paris Climate Agreement and the Sustainable Development Goals have pushed global challenges to the top of the political agenda. This is thanks in no small part to civil society groups, who have campaigned tirelessly for decades on the need to radically transform our societies and set ourselves on a path to sustainable development within the planet’s boundaries. Publicly funded research and innovation has a foundational role to play in addressing these challenges. It can offer an understanding of their nature, research alternatives to current models and support deliberation about possible conflicts and trade-offs. But to be effective, we must pay close attention to how the research agenda is set. To ensure a needs-driven agenda, citizens must be at the centre of the process, both to reinvigorate democracy and harness the insights of those most affected by societal challenges. Civil society has an invaluable contribution to make here too, bringing its wealth of expertise and experience in areas like health and the environment, sustainable food and farming, climate and energy, and peace and democracy. With this in mind, what has the EU proposed to do with the research budget? Zooming in first to the commitments on societal engagement, we see that engaging citizens and civil society in setting the research and innovation agenda is singled out as an objective of the programme. This is a positive move, though there are reasons to be cautious. The concrete ways in which citizens will be engaged are left vague and undefined. And references to civil society are worryingly absent in the section supposedly dedicated to science and society. Take a step back though, and the picture becomes even more concerning. The current proposal for Horizon Europe makes critical structural changes that could have catastrophic implications for democracy and sustainable development. The current programme Horizon 2020 contains three pillars, focused on three distinct objectives: excellent science, industrial leadership and societal challenges (for example in health, food and climate). This coherent structure has been praised and reaffirmed at the political level and by numerous evaluations of the programme. For Horizon Europe, the European Commission proposes to merge the second and third pillars of the previous programme under the heading “Global Challenges and Industrial Competitiveness”. This is a reckless move that puts research into real global challenges at risk. What Horizon 2020 got right is that industry operates on a specific and distinct logic: profit and competitiveness. Societal challenges, on the other hand, focus on societal impact and therefore reflect the logic and interests of citizens and civil society. We are told, of course, that these agendas naturally align. That these solutions to societal challenges are driven by the innovations of European industry. This may, in some cases, be true. But it is by no means a given that competitiveness will always be compatible with sustainable development. And recognising that industry has a role to play is not the same as shoehorning the goal of competitiveness into a pillar meant to focus on the challenges faced by citizens and society. The key question here is, which goal will dominate? In the event of a conflict, what takes priority? It is not hard to imagine how this will play out. Industry stakeholders are well-established within the programme. They know the programme well and how it works. They are well-equipped, well-resourced and well-organised. In comparison, citizens and civil society are not traditional actors in research and innovation. They lack the insider knowledge and experience to effectively engage with the programme, as well as the resources needed to make themselves heard. What chance has a needs-driven citizens’ agenda got against the might of industry? In this context, vague commitments on engaging society seem hollow and insufficient. At the level of societal engagement, a concrete roadmap to overcome barriers and boost engagement must be set out before the beginning of the next programme. Structurally, a solution also presents itself. Horizon Europe will include a dedicated pillar for the European Innovation Council. Given that the EIC already integrates several elements of the Industrial Leadership pillar, and that their objectives are already closely aligned, this seems an appropriate place to house the remaining parts of Industrial Leadership. This one move would preserve a dedicated pillar for independent research on urgent societal issues. We cannot afford to allow private interests to hijack a public research agenda intended to address citizens needs and deliver a just, equitable and truly sustainable future. Democracy is also affected by the continued increase in the research divide between Eastern Europe and the old member states. The continued growth in R&D budgets in the EU15 has not seen corresponding increases in the EU13. The consequence is brain drain and lagging innovation. This urgent challenge must be address to enable the EU, as a European Union, to continue to develop as a major global power while assuring all its citizens the promise of that Union.